The Lice Place is Alabama’s number one lice treatment clinic. We have been in the industry for many years. We offer the safest and the most effective in-clinic lice treatment services and affordable lice treatment products. The Lice Place is a member of NALTP and the only company in the U.S. that is owned and operated by a registered nurse. You can contact our Hoover, AL Lice Removal & Lice Treatment Clinic whenever you want our specialized help for your families head lice problems. If your child or any other family member is infested with head lice and nits, The Lice Place is here to help. Our treatment method includes non-toxic, pesticide free way of lice removal and use of safe TLP products. We guarantee to eradicate complete infestation in just one-time treatment session by employing manual removal and professional combing as treatment methods. Moreover, The Lice Place also provides professional head check services that can be received for the whole family. Our head checks are the best way to determine the existence and severity of infestation that helps us to provide you with the effective treatment. 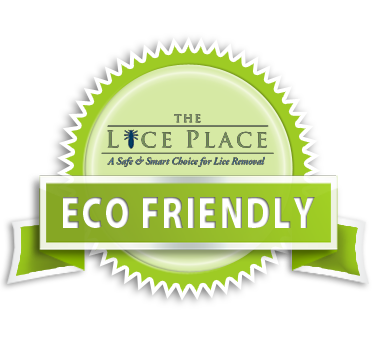 The Lice Place has also developed several lice removal products that are safe to be used at home or when you are out of the town. You can order our shampoo, conditioner, mousse and spray online and can receive them in the minimum, time possible. All these products are formulated using high quality, natural ingredients. They do not contain any harsh chemicals. Instead, we create them with Neem oil, peppermint and mint and these ingredients are already known to be the natural lice repellants. This way, our products offer a natural safeguard from head lice and nits. We are an all in one service provider. Along with providing effective clinical treatment and products, we also offer professional guidance on lice preventive measures and organize educational programs to make communities aware about lice detection, control and prevention methods. Call our Hoover, AL Lice Removal & Lice Treatment Clinic today to get your appointment scheduled.